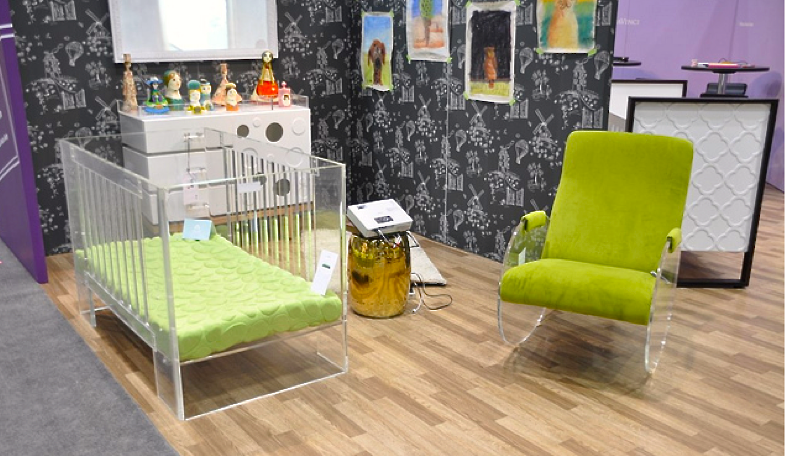 Baby's Got Style: The Vetro Crib Collection, Lucite Luxury Provides The Ultimate Sleeping Spot For Your Little One! Haute Hamptons kids are like little rock stars and KDH loves to see how their chic mommies decorate their nurseries in style. 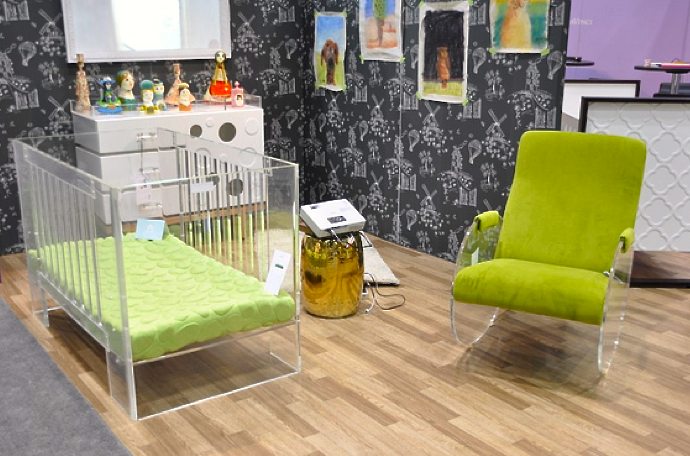 Nurseryworks acrylic “Vetro Collection,” comprised of a one-of-a-kind crib with matching changer and rocker, is clearly the trend with taste makers this summer. Both Beyonce and Robert Downey Jr. grace their new nurseries with these cool acrylic cribs. The 100% recyclable and clear acrylic crib features a patented design, beautiful curved edges and three level mattress heights. As a representation of the limited run of the Vetro, each crib produced is laser-etched with its own unique number. 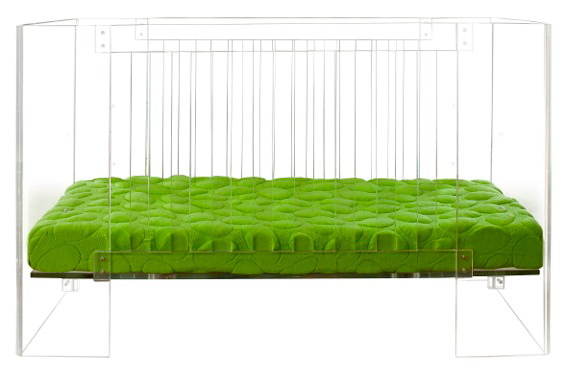 “The Vetro Crib is the ultimate sleeping spot for baby – lucite luxury and streamlined sophistication make this unique and modern crib destined to become a classic!” shares Traci Fleming, President of Nurseryworks, a company that continues its legacy as a pioneer in children’s design. KDHamptons DESIGN NOTE: Pining for something more traditional? Check out one of TradHome’s Top Ten Designers, Tamara Honey, present her Nurseryworks “Uptown” collection at the upcoming Hampton Designer Showcase!